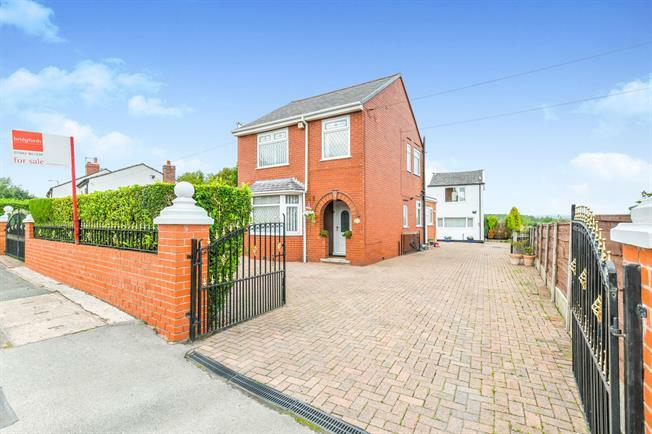 3 Bedroom Detached House For Sale in Warrington for Offers Over £300,000. Aluminium sliding double glazed door, opening onto the garden. Double glazed uPVC window facing the side. Standard WC, wash hand basin. UPVC back double glazed door. Double glazed uPVC window facing the side. Double glazed uPVC window with patterned glass facing the side. Standard WC, panelled bath, shower over bath, wash hand basin. Double glazed uPVC window with patterned glass facing the rear. Panelled bath, shower over bath, wash hand basin. UPVC patio double glazed door, opening onto a balcony. Double glazed uPVC window facing the front.